It’s a surprisingly huge, dense world, and I soon realized there were still entire sandboxes I hadn’t even set foot in. Even in my hundredth hour, I’m still discovering. Despite its less than compelling plot, I still want to go back to explore and fight through every nook and cranny of Dragon Age: Inquisition, until every dragon’s skull is mounted on my wall. 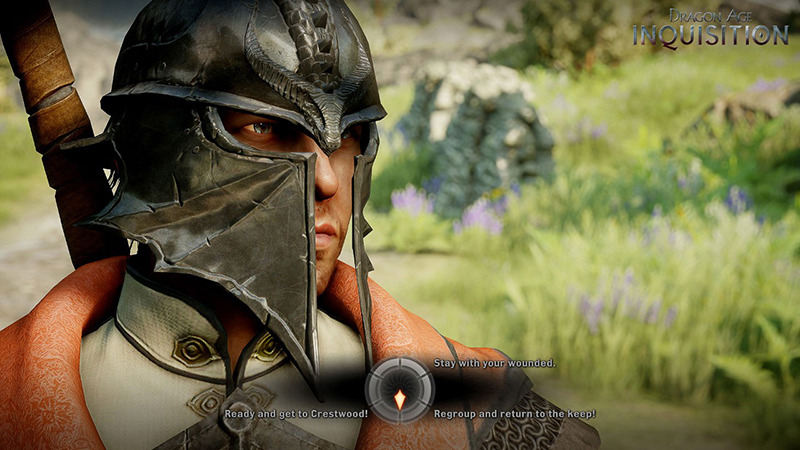 Dragon Age: Inquisition is a huge game. And I’m not even sure the word ‘huge’ does it justice. There’s so many places to go and so much to do that it’s a bit overwhelming, but also refreshing that I can choose what to do, where to do it, and when. 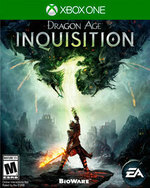 ...Inquisition is just flat out awesome -- not the most eloquent phrase to use in a review, but it’s true. The Hinterlands alone could probably host an entire game, and it is just the first of several large areas packed with content. This grand scale, along with the quality of quests that fill it, is the biggest and best surprise Inquisition has to offer Dragon Age fans. It offers the thrill of discovery and the passion of camaraderie. It features a glee club called The Sing-Quisition, and a dwarf with writer's block. It establishes connections with its world in big ways and small, with the sight of a titanous temple and the smirk of an Orlesian commander in love. Dragon Age: Inquisition is a wonderful game and a lengthy pilgrimage to a magical world with vital thematic ties to one we already know. 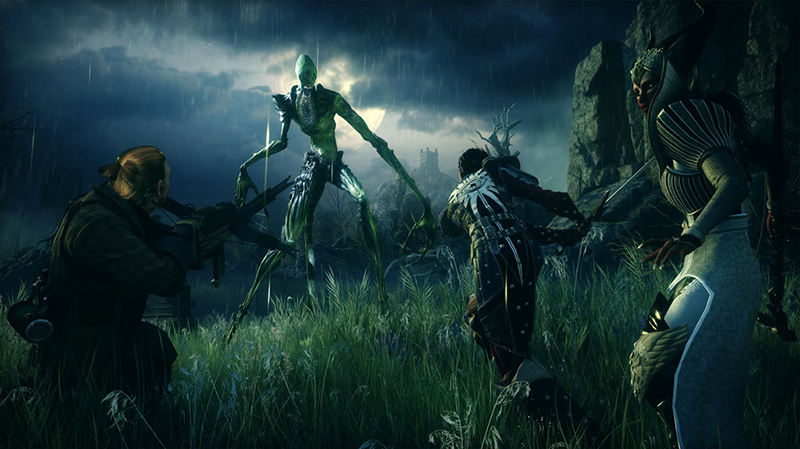 Dragon Age: Inquisition represents a glorious return to form for the series, with its huge world to explore, great cast of characters, and immensely satisfying combat and character progression. Despite its flaws, this is easily a contender for RPG of the year, and a must-have for most any gamer. 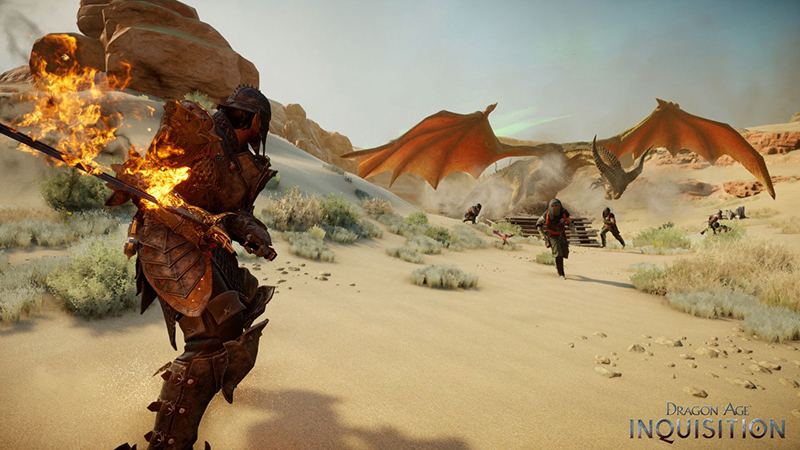 Yet Dragon Age: Inquisition is one of those rare games where its flaws sound severe on paper, but often melt away when you’re actually playing. We can’t remember the last time we’ve been so thoroughly absorbed by a virtual place or so attached to a cast of characters. In that sense, Dragon Age: Inquisition is a flawed journey, but it’s one that we eagerly want to return to. 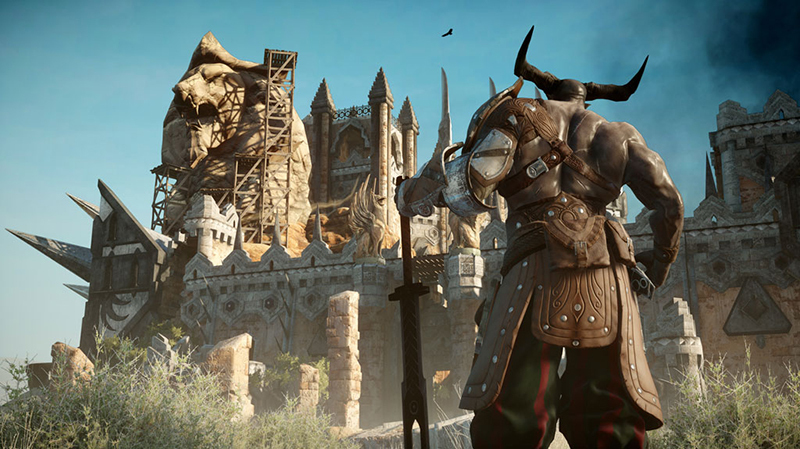 The sheer wealth of content inside Dragon Age: Inquisition alone is worth the price of admission. Your decisions carry more weight and change the world in unexpected ways. Despite some mild annoyances involving the combat and random technical hiccups and forgettable multiplayer, I couldn’t put down the game for even a minute. So, after all is said and done, Dragon Age: Inquisition will most likely suffer the same fate as its predecessors. It’s a fun game that will probably never achieve a broad fan base, but there will be those that love the game and will go to great lengths to defend it with rabid aggression. All told, I was expecting more but I’m not really that surprised. I had fun and that’s what counts. Enormous, handsome and in love with the subtleties of world design, storytelling and class-based combat. 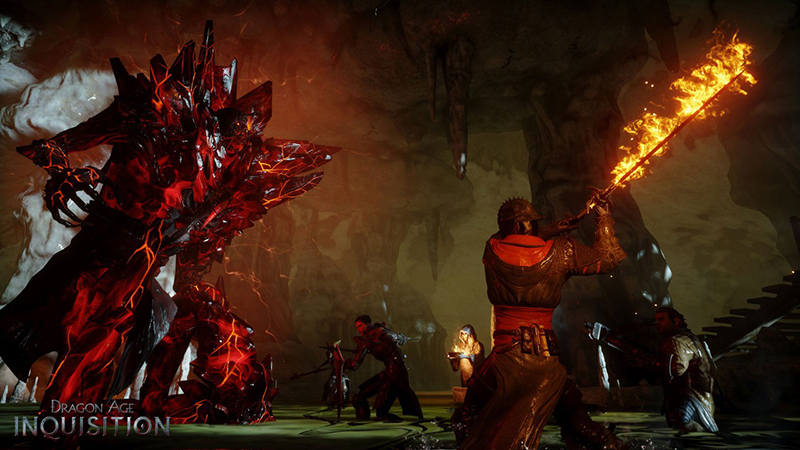 The finest Dragon Age yet, and the most accomplished RPG so far on Xbox One. No hay fórmulas mágicas, si concedes poco más de un año para hacer un juego a un grupo talentoso, sale una cosa. Y si das más de cuatro, sale otra -mucho mejor en principio, salvo desastre-. Es una lección demasiado obvia como para volver a olvidarla, cosa que esperamos que no suceda en el futuro. En el presente, sólo nos queda celebrar que la gran Bioware está de vuelta, con la mayor y más épica aventura de este 2014. Con Dragon Age: Inquisition BioWare se redime de errores pasados y demuestra estar en plena forma, firmando el mejor RPG occidental de los últimos años. Está sí es la secuela que merecía Dragon Age: Origins, con una buena historia, una cantidad casi interminable de contenido, un mundo vivo y rico en matices, personajes memorables y mecánicas jugables bien pulidas. Un excelente y completo juego de rol, en definitiva, que debería ser compra obligatoria para todos los fans del género. Si bien en ordenador hay una enorme cantidad de grandes juegos de rol donde elegir, y dejando a un lado su espectacular apartado gráfico Dragon Age Inquisition no es ninguna revolución dentro del género, aunque sí de lo mejor que ha ofrecido en los últimos tiempos, en PlayStation 4 y Xbox One ahora que van a cumplir su primer año, un título como este se convierte en un absoluto imprescindible para cualquier aficionado de los RPG. Efficace, riche et bien réalisé, Dragon Age Inquisition renoue avec les qualités du premier épisode, et surpasse donc largement le deuxième. Les adeptes de la série ne pourront que se réjouir de cet état de fait, tandis que les nouveaux joueurs auront la satisfaction de disposer d'emblée d'un RPG solide à la durée de vie élevée. Inquisition est donc un épisode de belle envergure, généreux en contenu, qui parvient sans aucun mal à nous faire oublier les errances de Dragon Age 2. Il aurait sans doute gagné à moins s'éparpiller sur certains mécanismes qu'il ne fait que survoler pour se concentrer un peu plus sur d'autres aspects plus fondamentaux aux yeux des amateurs du genre. Uma aventura gigantesca que dá origem a uma história envolvente e ligada a uma componente decisória particularmente forte ao nível político e militar. Intrigante e constantemente capaz de surpreender, todos os elementos do jogo revelam grande consistência e apuramento. É em Thedas que vão querer chegar ao poder e com influência lutar pelo território. Con Dragon Age: Inquisition, Bioware ha mandato un messaggio forte e chiaro: non solo lo sviluppatore è vivo e vegeto, ma è anche in grado di sviluppare un gioco di ruolo moderno nelle meccaniche e nella narrazione, che travolge il giocatore con una mole di contenuti enorme, sorretta da un buon sistema di combattimento ibrido, in grado di soddisfare sia gli amanti della tattica che coloro che sono alla ricerca di un'esperienza più immediata.